Looking for a great Richmond Tutor? From elementary all the way up to college and graduate school, our experienced team at Grade Potential ensures that you’ll receive the highest quality tutoring on your way to achieving your goals, all at an affordable price! We've worked with thousands of local students, so we know what it takes to be successful around here. Richmond, California, it was just a tiny village by the sea, surrounded with farms in days gone by, over 100 years ago. It grew and grew to become today’s Point Richmond, the heart of Richmond from the 19th to 20th Century. It was a busy thoroughfare, with burgeoning businesses, and an attractive shoreline, sporting views of ships and whales. The modern day Richmond expanded around it. Point Richmond became a neighborhood of Richmond. Its historic person is rich in history and antique -- and modern day attraction. It’s now often called The Point. And truly it is The Point of this article, as it houses the heart of the city of Richmond. Point Richmond is known for its small-town charm, and quaint shops, the Mom and Pop stores of America, family businesses that support a family, in independence and industry. The Point’s trademark is “mom and pop” stores. And what is to The Point folks a nifty home town, in old town, by the sea is now on the National Register of Historic Places. Well, town folks call it “The Point.” The point is it’s a point in the past, full of history, with a thriving and inviting present, and an eye to the future. Sit on one of its many historic benches or sip strong roasted coffee at its sidewalk cafes. You might glance up at its streetlights lighting the way to hotel Mac, one of the oldest historic buildings in the area. It has 1900’s historic architecture, with a tailored look, characteristic of those times craftsmanship. Splendid shows and productions are staged by The Point’s Masquers Playhouse. Here the whistle blowing, the trains transport cars and automobiles from the present Richmond Port. Freight trains are born in Point Richmond’s active Northern Santa Fe Freight yard, trains for distance freight carriage -- that grapple with the passing cars and wonder at the congestion wrought by man since the railroad’s clear-cut laying down of tracks. A tunnel, the Ferry Point Tunnel, one of the oldest in California, built in 1899, goes from Ferry Point to The Point’s Golden State Railroad Museum. Just as The Point bridges past and present, The Point neighborhood, Old Town Richmond is divided by a ridge. Hang a right and it’s “Bay side,” and left a bit easterly is “town side,” both sides are a treat for any student of history. Richmond tutors are steeped in the lore of the past and can speak of careers anchored to past times. Tutors help with history lessons and bridge students to the high tech world of today, draped in science and invention. Along with the trains, Richmond has a large Chevron refinery to the north, and other vestiges of modern industry. Yet, overall, Richmond business is housed in antiquity. The many century old buildings date back to its birth, a city northeast of San Francisco, sitting by the San Pablo Bay, housed in the sea’s abundance and land of farms. Richmond Youths, of Point Richmond and the wider Richmond area, grow up with the might of Richmond, the vigor and opportunity of the entire Bay area there. Yet, their hearts beat to another drum too, that of the stronghold of independent businesses and the friendly faces of this charming town. 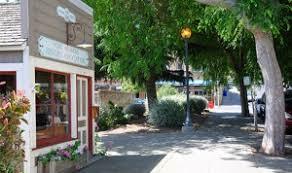 Richmond tutors of Point Richmond and beyond will help you revel in the strength of your independent heritage. They’ll tutor all subjects, help with test preparation, and help you launch your goals, whether seeking independent businesses, work in the trades or college-wrought careers. Like Richmond itself, carve a future born of two worlds -- smiling with the sun of Richmond City by the Sea, train whistles blowing, and ships sailing to your goals beyond. Grade Potential Tutoring is proud to provide Richmond students with the opportunity to win a semi-annual college scholarship of $1,000! We are proud to assist students with their investment in education. Many local families trust us with their educational investment on a regular basis, so we feel great about giving back in a similar way! Click below to learn more about our scholarship program and how to apply.